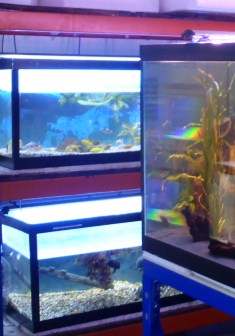 Our recently revamped shop has a large dedicated Aquatics with over 50 Fish tanks of Tropical, Marine and Cold Water fish suitable for the home aquaria. 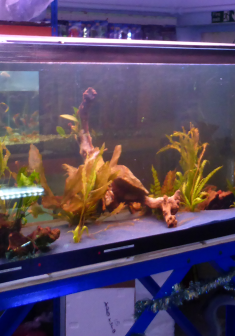 We hold a large and varied selection of Live plants for your Tropical, Marine and Pond Setups. 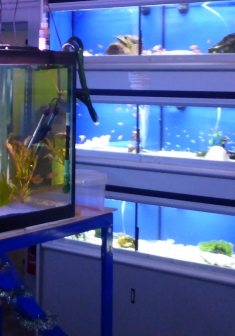 We offer a guarantee on all our Tropical, Marine and Fresh water fish and they are all at low, low prices too. There are too many types to list individually however they include; Tetras, barbs, live-bearers, cichlids, algae-eaters, fancy goldfish etc. Some unusual species are often available. Some larger (adult) fish e.g. Silver Dollars, Tinfoil Barbs, Pleco`s etc. 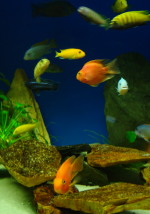 There is always a selection of “tropical” fish that can live in an unheated aquarium. 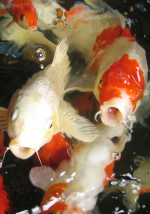 We have a comprehensive selection of Pond Fish during the spring and summer. Choose from; Goldfish, Shubunkin, Fantails, (Golden) Rudd, (Golden) Tench, (Golden/Blue) Orfe, Sturgeon, (Albino) Grass Carp, Ghost Carp, Chub, Gudgeon, Red Minnows, Barbel and of course Koi. 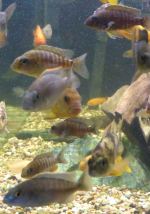 We offer a fish re-homing facility for incompatible or unwanted aquarium fish. Most species are acceptable however we may have to refuse some due to size or other considerations – please phone beforehand.